The Flair Furnishings Justin grey guest bed features a sturdy rubber wood construction in a solid white finish and a pull out under bed trundle drawer. 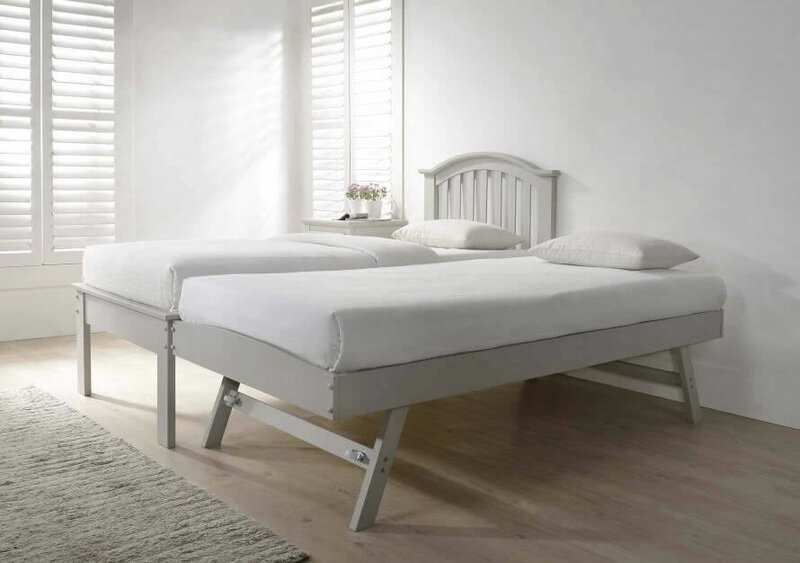 Both the single bed and trundle bed are designed for use with standard UK single mattresses 90cm wide by 190cm long with a maximum height of 16cm for the trundle bed mattress. 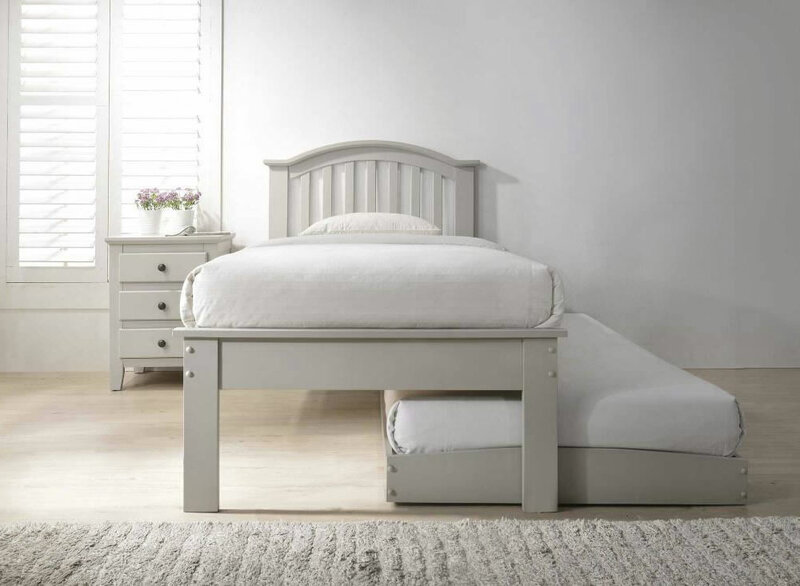 The pull out guest bed when raised is the same height as the single bed frame allowing for the use of same height mattresses.